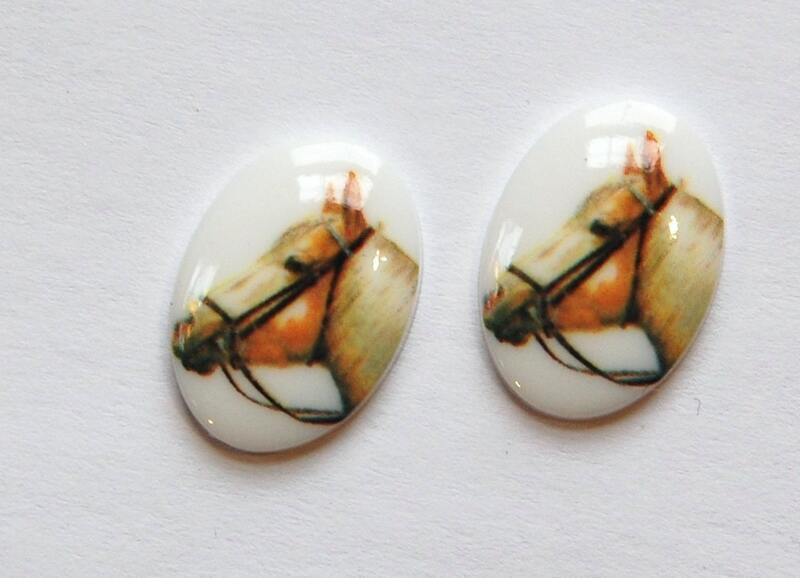 These are vintage acrylic horse cameos that were made in Germany. This style features a tan horse. These measure 18mm x 13mm. You will receive 2 pieces. great service ... as always! Perfect transaction, lovely items and fast shipping!